MCskill ThaPreacha’s much awaited album entitled Diary of a Supernatural is due for release December 16th and its now available for pre-order on iTunes (Get two tracks instantly) and on Bandcamp (Get four tracks instantly). And watch the album trailer below. 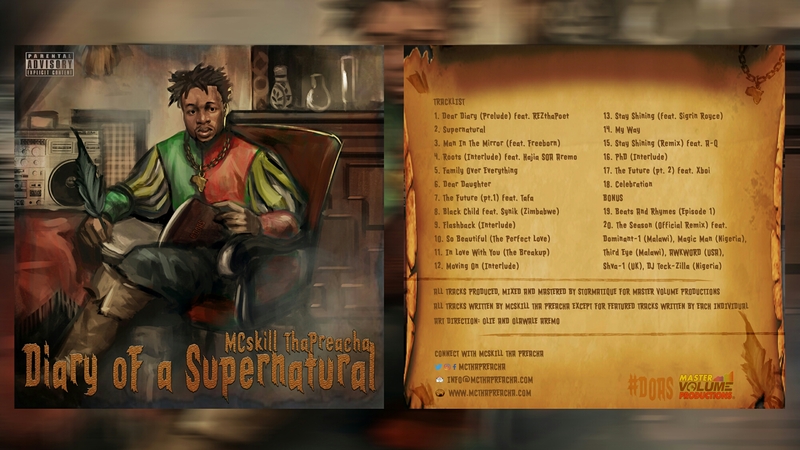 ← VIDEO: MCskill ThaPreacha releases Nigerian Hip Hop’s First Ever Album Trailer For His Upcoming Album “Diary of a Supernatural”.